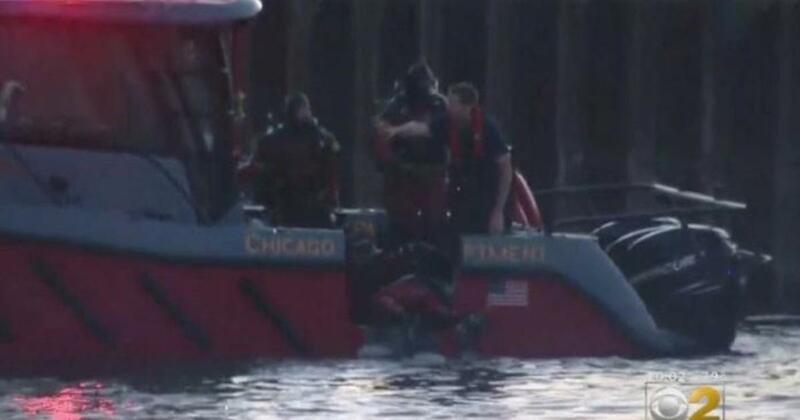 CHICAGO – A fire diver looking for a man who fell from a boat into the Chicago River on Monday was separated and killed underwater by his partner, authorities said. The Chicago Fire Department said their "prayers are from the family of firefighter Juan Bucio." He tweeted that Bucio "tragically answered a person's call in the water." The prayers of the entire Chicago Fire Department go to the family of firefighter Juan Bucio, who tragically answered a person's call in the water near 2600 S. Ashland. The man fell off the boat at 8pm Monday, police said. Bucio was killed and two other divers were injured as they searched for the man in the river that flows through downtown Chicago. Bucio was in the water with a dive partner when his partner lost contact with him, said fire chief Jose Santiago. "One of our divers was separated during the search," he said. "The immediate search started with the spare divers." Bucio was pulled out of the water and later declared dead in a hospital. The man who had dropped from the boat had not been found on early Tuesday. The other two divers were briefly hospitalized. Bucio, 46, joined the department in 2003 and became a member of the diving team in 2007, reports CBS Chicago. He had two children, sons aged 7 and 9 years. He also had nine siblings, including a brother in the fire department and a sister in the police department, Santiago said. "Please," Santiago said, "keep this family of your prayers."